Engraved Laminate Signs: Laminate Plastic Sign 8"x6"
Laminate Plastic Sign 8" x 6". Available in gold/black, black/white or green/white. 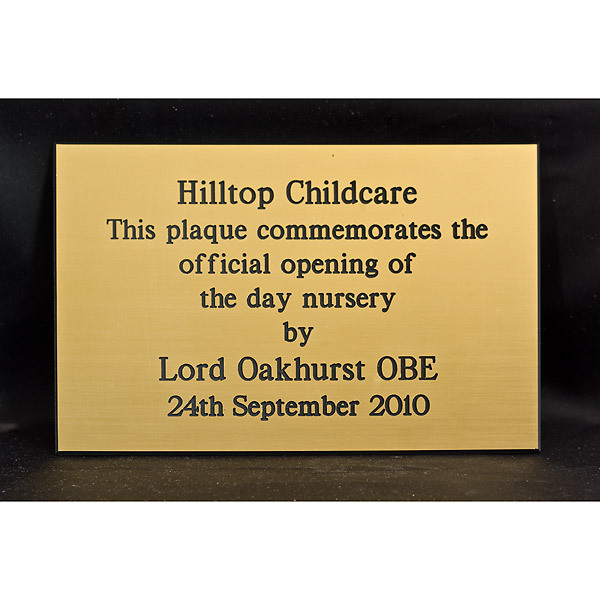 This 1.5mm plastic or laminate sign is 8" wide by 6" high and is available in various colours including gold with black lettering, black with white lettering or green with white lettering. The sign is engraved with up to 50 characters free of charge. A maximum of 100 characters may be engraved on this laminate sign. Contact us if you require more characters. These laminate signs may be stuck or screwed for fixing, and are available with a screw hole in each corner if required. The postage rate for all laminate and plastic signs, plaques and plates is Band A.